Island Experiment Collect Free Items, Daily Cheats, Rewards, Gifts. Get a FREE CHEST with resources for your island! Computer players: click the link Link Mobile players: enter the GIFT CODE in the game 4951d The gift will be available for 24 hours. Those bunnies need Easter Eggs to turn good again! Hurry and get some: Computer players: click the link Link Mobile players: enter this GIFT CODE in the game 9ae76 The gift will be available for 24 hours. Get a FREE CHEST with resources for your island! Computer players: click the link Link Mobile players: enter the GIFT CODE in the game 1bf90 The gift will be available for 24 hours. Those bunnies need Easter Eggs to turn good again! Hurry and get some: Computer players: click the link Link Mobile players: enter this GIFT CODE in the game d3e02 The gift will be available for 24 hours. New special event is already here, hurry up! Link Red alert everyone! Easter is in danger, we need you on the islands immediately! 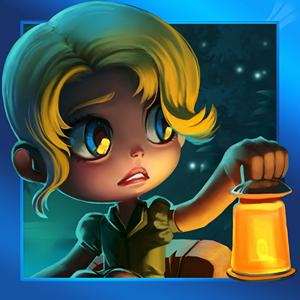 Help Aliri in her adventures, save Easter and win cool prizes: Gems and Luck coins; Easter Cake House;... Bunny Arch; Guardian Golem; Fairy House; New pet, Alda Here's the list of important features to know: Provisions refill automatically. Also, you will be getting a free refill of provisions every 24 hours; Collect Easter eggs and feed Easter Bunnies to move through the islands. In return, you'll be getting eggshells: take them to the Granny with Snails and she'll give you the upgrades for the rewards you win and other prizes! You'll find Easter eggs on the Egg stands on the islands. Also, you'll get a free basket of random Easter eggs every 8 hours, and then some from our official page as well! You can exchange your Easter eggs in the converter. Note that the converter takes a fee! You can't go back to the previously finished islands; Good Deed Points exchange bonus will fade once the event is over. Come get a chest with Golden Statues! Computer players: click the link Link Mobile players: enter the GIFT CODE in the game 4918a The gift will be available for 24 hours. Come get a chest with Precious Stones! Computer players: click the link Link Mobile players: enter the GIFT CODE in the game 56be1 The gift will be available for 24 hours. Delivery Festival has just started on the islands! Link Complete deliveries, explore the Treasure Cave, collect Precious Stones and Key Fragments and get wonderful rewards: Jinn's Lamp; ... Turkish House; Cat House; Pineapple House (boy, that's a lot of houses! ); Hut on Chicken Legs! Dont forget that at the end of the Festival day the reward changes to a new one and all unused Key fragments turn into the precious stones! Good luck! Get a FREE CHEST with resources for your island! Computer players: click the link Link Mobile players: enter the GIFT CODE in the game d904a The gift will be available for 24 hours. The ball is going to fall in the 3rd bowl! And you guessed it! Here's the reward Computer players: click the link Link Mobile players: enter the GIFT CODE in the game 480ab The gift will be available for 24 hours. Get a FREE CHEST with resources for your island! Computer players: click the link Link Mobile players: enter the GIFT CODE in the game 0b277 The gift will be available for 24 hours. Get a FREE CHEST with resources for your island! Computer players: click the link Link Mobile players: enter the GIFT CODE in the game 75094 The gift will be available for 24 hours. Get a FREE CHEST with resources for your island! Computer players: click the link Link Mobile players: enter the GIFT CODE in the game 9afc1 The gift will be available for 24 hours. You got it right! An apple is lighter than a pear! Gift time! Computer players: click the link Link Mobile players: enter the GIFT CODE in the game 486b7 The gift will be available for 24 hours. Get a FREE CHEST with resources for your island! Computer players: click the link Link Mobile players: enter the GIFT CODE in the game 4fc6b The gift will be available for 24 hours. Get a FREE CHEST with resources for your island! Computer players: click the link Link Mobile players: enter the GIFT CODE in the game 1ecde The gift will be available for 24 hours. Get a FREE CHEST with resources for your island! Computer players: click the link Link Mobile players: enter the GIFT CODE in the game f4808 The gift will be available for 24 hours. In our last video we hid 17 bunnies! Our talanted hedgehog friend pulled out 6 little rascals and then there were additional 11 of them! Here's your gift Computer players: click the link Link Mobile players: enter the GIFT CODE in the game c8f68... The gift will be available for 24 hours. Get a FREE CHEST with resources for your island! Computer players: click the link Link Mobile players: enter the GIFT CODE in the game da32b The gift will be available for 24 hours. New archipelago expedition is in the game! Link IMPORTANT NOTE!!! New archipelago will be gradually becomming available. If you haven't gotten it yet, don't worry, you will in some time!... Time to set sail on the new archipelago expedition and take part in the breathtaking regatta! Finish the regatta to get these prizes: Gems Crates of Magnets Fish Tank New pet Guinea Pig! Use Magnits to disarm Magnet Traps that block your pass! Here's how you get those magnets: From the Meteor Shards spreaded across the islands In-game free gifts every 8 hours If you dont have certain magnets, use a converter. Note that you have to pay a fee for the exchange. Don't forget to pick the Doubloons boxes which you can find on every archipelago island Good luck on your adventure! Get a FREE CHEST with resources for your island! Computer players: click the link Link Mobile players: enter the GIFT CODE in the game 68c35 The gift will be available for 24 hours. Get a FREE CHEST with resources for your island! Computer players: click the link Link Mobile players: enter the GIFT CODE in the game 3a0eb The gift will be available for 24 hours. Get a FREE CHEST with resources for your island! Computer players: click the link Link Mobile players: enter the GIFT CODE in the game 1670b The gift will be available for 24 hours. Hey there! Did you know that we have a huge database where you can find answers to all your questions? Well, now you know Here it is, Island Experiment Help Centre Link Didn't find an answer to your question? Let us know what we should add! Get a FREE CHEST with resources for your island! Computer players: click the link Link Mobile players: enter the GIFT CODE in the game 44c4d The gift will be available for 24 hours. Get a FREE CHEST with resources for your island! Computer players: click the link Link Mobile players: enter the GIFT CODE in the game 3effa The gift will be available for 24 hours. And here's the answer to the last puzzle! Did you get it right? Your observation skills earned you a prize Computer players: click the link Link Mobile players: enter the GIFT CODE in the game 450a6 The gift will be available for 24 hours. Collect free Stamps and buy decorations for your island! Computer players: click the link Link Mobile players: enter the GIFT CODE in the game 05a0c The gift will be available for 24 hours. Dont miss the last day of the Febuary Sale! Link Last chance to use lottery tickets as well! Find gold coins and get wonderful rewards! Open 5 locks, and the Bird Cage is yours! Get a FREE CHEST with resources for your island! Computer players: click the link Link Mobile players: enter the GIFT CODE in the game 560bb The gift will be available for 24 hours. Collect free valentines to mend the broken hearts! Computer players: click the link Link Mobile players: enter the GIFT CODE in the game b2e4f The gift will be available for 24 hours. The February sale is on! Hurry up: Link Participate in the lottery to take a shot at winning the Grand Prize - Bird Cage! Use lottery tickets, play and find gold coins. Open 3 gold coins at a time to get a key and open one of Grand Prize locks. Open 5 locks, and the Bird Cage is yours! How to get lottery tickets during the Sale period: 1 free lottery ticket every 8 hours; for gems and offer purchases;... in exchange for gems. Get a FREE CHEST with resources for your island! Computer players: click the link Link Mobile players: enter the GIFT CODE in the game 9f5d4 The gift will be available for 24 hours. And here's the answer! You're right, it's reindeer Take your gift! Computer players: click the link Link Mobile players: enter the GIFT CODE in the game 6bee8 The gift will be available for 24 hours. Collect free Postage Stamps and buy decorations for your island! Computer players: click the link Link Mobile players: enter the GIFT CODE in the game a3541 The gift will be available for 24 hours. Get a FREE CHEST with resources for your island! Computer players: click the link Link Mobile players: enter the GIFT CODE in the game 96644 The gift will be available for 24 hours. Collect free valentines to mend the broken hearts! Computer players: click the link Link Mobile players: enter the GIFT CODE in the game 62189 The gift will be available for 24 hours. Get a FREE CHEST with resources for your island! Computer players: click the link Link Mobile players: enter the GIFT CODE in the game 9ac54 The gift will be available for 24 hours. Collect free valentines to mend the broken hearts! Computer players: click the link Link Mobile players: enter the GIFT CODE in the game 40aea The gift will be available for 24 hours. Get a FREE CHEST with resources for your island! Computer players: click the link Link Mobile players: enter the GIFT CODE in the game 94ce8 The gift will be available for 24 hours. And this is how you do it! You picked the right tiles and cleared the tetris field! Here's your reward Computer players: click the link Link Mobile players: enter the GIFT CODE in the game f7c77... The gift will be available for 24 hours. Collect free Postage Stamps and buy decorations for your island! Computer players: click the link Link Mobile players: enter the GIFT CODE in the game 4bf2f The gift will be available for 24 hours. Get a FREE CHEST with resources for your island! Computer players: click the link Link Mobile players: enter the GIFT CODE in the game ca7b5 The gift will be available for 24 hours. This Website is not affiliated With Island Experiment. Trademarks are the property of their respective owners. Game Content and Materials Copyright Island Experiment. All right reserved.